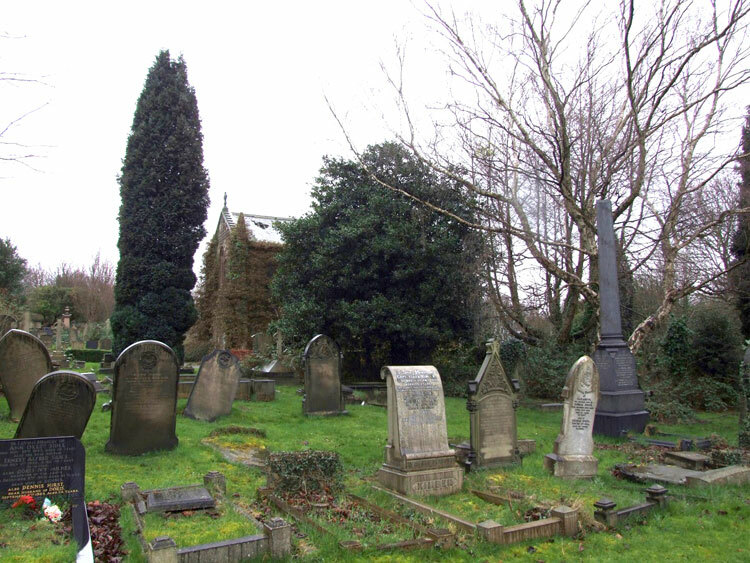 Rotherham (Moorgate) Cemetery is on the South-East side of the town. 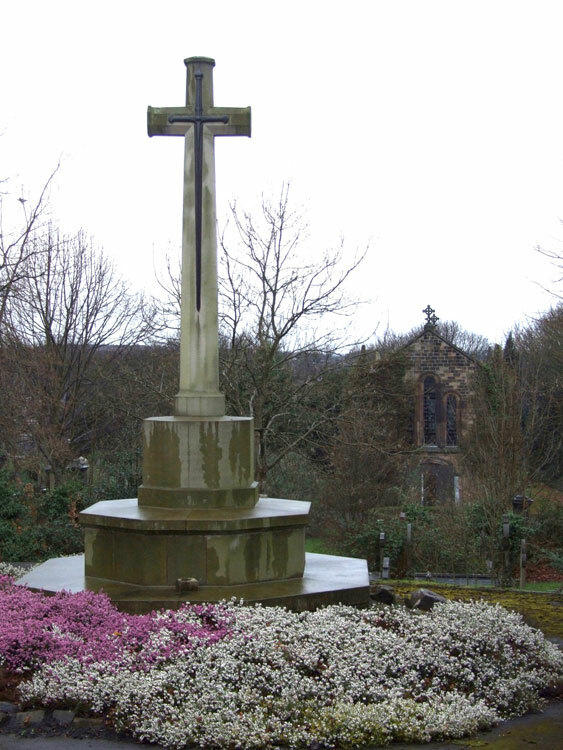 The cemetery contains 52 Commonwealth burials of the First World War and 32 from the Second, all scattered throughout the cemetery. The Cross of Sacrifice is situated at the main entrance. 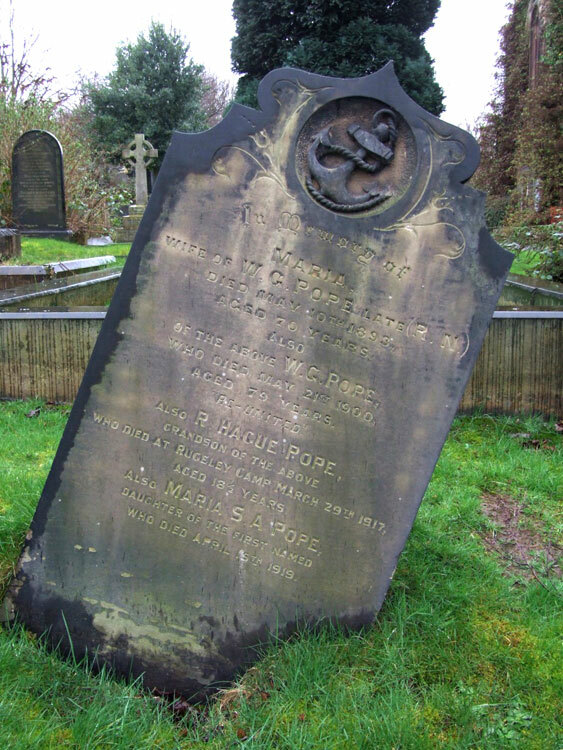 WHO DIED APRIL 15TH 1919"
Private Reginald Hague Pope. 5/38348. 15th Battalion the Yorkshire Regiment, attached to 10th T R Battn. Died at home 29 March 1917. Aged 18. Born Elsecar (Yorks), Enlisted Keighley (Yorks). There had been an outbreak of Cerebro Spinal fever at Rugeley Camp at the time that Private Pope died. At least one other soldier of the Yorkshire Regiment, - Private Frederick Brassington, died in this outbreak. Private Brassington was also aged 18 and was in the same battalion as Private Pope. He is buried in RUGELEY CEMETERY.